Knee pain is usually the presenting symptom that occurs during activities such as running, jumping, squatting, and especially ascending or descending stairs and during kneeling. The pain can be reproduced by extending the knee against resistance, stressing the quadriceps, or squatting with the knee in full flexion. Pain is mild and intermittent initially. In the acute phase the pain is severe and continuous in nature. Impact of the affected area can be very painful. Bilateral symptoms are observed in 20–30% of patients. Most parents call the doctor after their child complains of intermittent pain over several months. The pain may be anywhere from mild and felt only during activity to severe and constant. Symptoms that aren’t typical of OSD include pain at rest, thigh pain, or very severe pain that awakens kids from sleep or makes them cry. If your child experiences any of these symptoms, talk to your doctor. Osgood-Schlatter disease is caused by repetitive stress or tension on a part of the growth area of the upper tibia (the apophysis). It is characterized by inflammation of the patellar tendon and surrounding soft tissues at the point where the tendon attaches to the tibia. The disease may also be associated with an avulsion injury, in which the tendon is stretched so much that it tears away from the tibia and takes a fragment of bone with it. The disease most commonly affects active young people, particularly boys between the ages of 10 and 15, who play games or sports that include frequent running and jumping. Although there is a growing trend among girls also. The disease usually disappears without treatment. 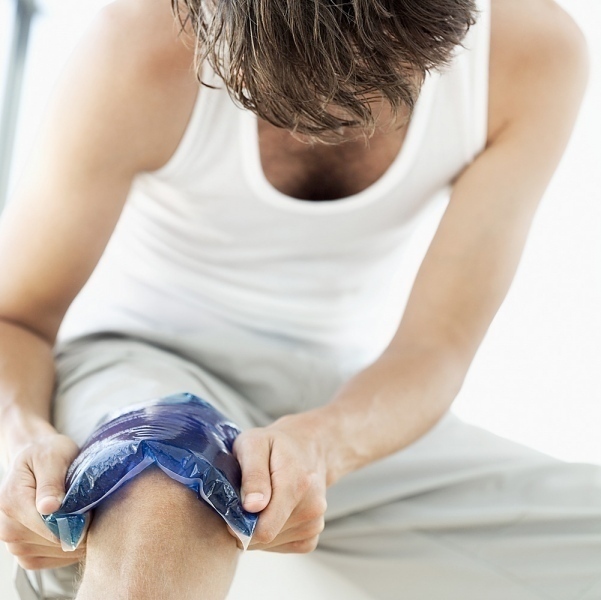 Applying ice to the knee when pain first begins helps relieve inflammation and is sometimes used along with stretching and strengthening exercises. The doctor may advise the patient to limit participation in vigorous sports. Children who wish to continue participating in moderate or less stressful sports may need to wear knee pads for protection and apply ice to the knee after activity. If a great deal of pain is felt during sports activities, participation may be limited until any remaining discomfort is tolerable.